This technical document, first published in 2010 and updated in 2012, outlines how to meet the highest safety standards for paper and board products used in food contact applications. 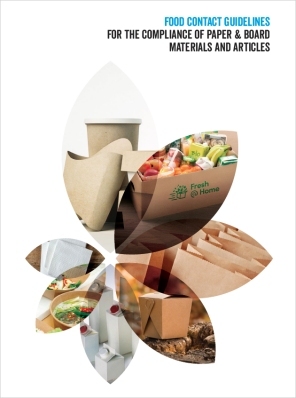 April 9, 2019 - The Confederation of European Paper Industries (CEPI) today released the completely rewritten voluntary “Food Contact Guidelines for the Compliance of Paper and Board Materials and Articles.” The updated guidelines include input from the paper and board manufacturing industry, as well as converting sectors including the tissue industry. A PDF copy of the 56-page document is available here (4.2 mbs). This technical document, first published in 2010 and updated in 2012, outlines how to meet the highest safety standards for paper and board products used in food contact applications. The processing chain for paper and board food contact articles is diverse; it has to deal with many challenges in demonstrating the safety of materials. "Our sectors' key priority is to safeguard — at all times — the safety both of the packaging system and food that we deliver,” said Jori Ringman, Deputy Director General at CEPI and expert in product safety. “With the Food Contact Guidelines, we wish to provide an effective compliance tool in line with the EU Framework Regulation on Food Contact Materials by ensuring an efficient exchange of information along the supply chain,” Ringman explained. In the absence of specific EU legislation covering paper and board products in the field of food safety, the industry took the initiative to fill the gap by developing this guidance which serves both industry and consumers, also from an environmental point of view. Since their launch in 2010, the guidelines have gained much support among users and well proved their value. The Confederation of European Paper Industries (CEPI) is the pan-European association representing the forest fibre and paper industry. Through its 18 national associations CEPI gathers 495 companies operating more than 900 pulp and paper mills across Europe producing paper, cardboard, pulp and other bio-based products. To learn more, please visit: www.cepi.org.